The Fierce Fund, a corporate advised fund of Silicon Valley Community Foundation, believes that every woman is chockfull of stories of strength, ferocity, courage, and perseverance. 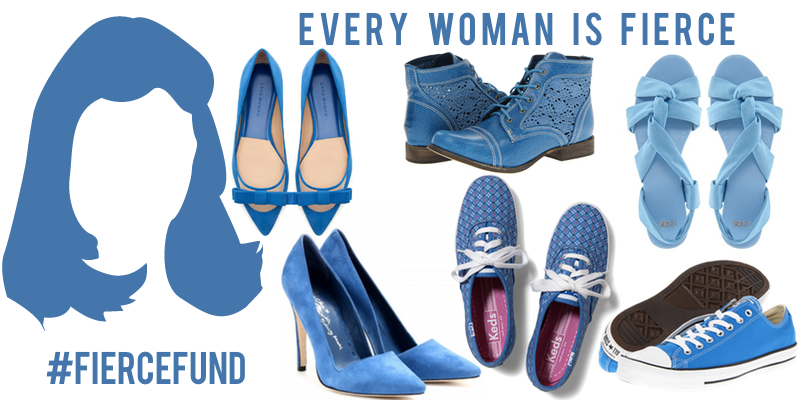 Their goal is to celebrate, encourage, and elevate women and girls. That’s why, this year, they have decided to donate $20,000 to one of the following three organization: CoachArt, Dress For Success, and Girls Who Code. If you’d like to vote for this years three nominees, you can do so here. Wherever your fierceness comes from (ROAR), we all have our moments to shine, sparkle, glisten, sweat, pant, laugh, scream and cry. Sometimes it takes all of those things to even begin to dream of being as fierce as your full potential. 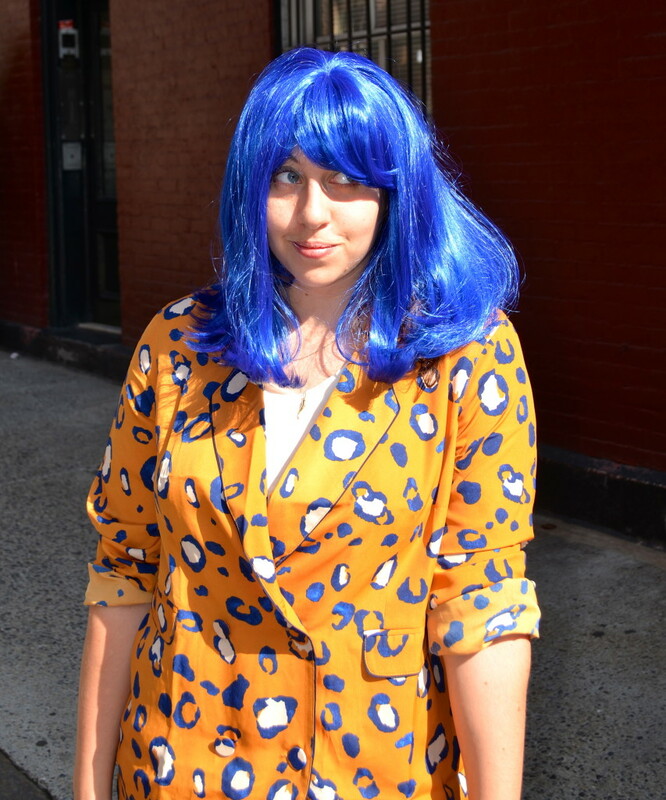 As part of the Clever Girls Collective, I have been selected, as one of 50 bloggers, to describe a moment when I was fierce – and to prove that I’m not afraid – I was even challenged to wear a neon blue Peggy Sue wig, in public, in New York City. Being Fierce is having the courage to try a new career, drive across the country, travel somewhere you’ve never been; standing up to a bully, calling out hate speech, voting; being strong for your kids, being there for your friends, being active in your community. Being Fierce can mean going back to school after a couple decades away, it could mean putting on a bathing suit at the public beach. 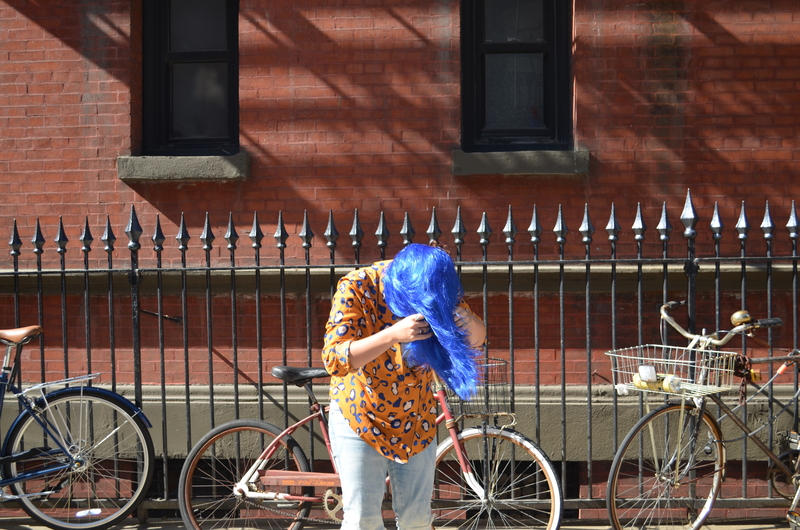 Or being Fierce could mean going through cancer treatments and choosing to rock a blue wig in stride. I had always been a Type-A student. I cried when I got B’s – over studied, thought deeply about texts, and always took homework seriously. I was the girl who could have a paper finished a few days ahead of time, actually took notes in class, and liked speaking with the teacher after lecture. Because of my good grades, I never really struggled in school. From elementary school to college, my report card was never the harbinger of parental woes. In fact, I never totally struggled in graduate school at Columbia University. It was hard, and I definitely studied and worked through many laborious hours in a ton of libraries, but nothing ever seemed like a Sisyphean uphill battle. Be sure to stay up-to-date with the #FierceFund by following the hashtag across Twitter and Facebook. Perhaps because of this good luck, I was not fully prepared for the actual job market. I graduated at one of the lowest points of the recession. This was a time when students were occupying Wall Street, the unemployment rate was at an all time high, and job security at a low. I naively thought that something would fall into my lap – I was a good student – I had stellar grades – a ton of internships – professors liked me. I didn’t get hired for almost nine months. And, even when I did find work thereafter it was through part-time or contractual positions. I was underemployed. The first week without a response from a resume or cover letter was fine. Being turned down for networking over coffee a few times was OK. But when the pattern began repeating month after month, it became hard to retain my self-esteem. It was difficult to trust that the years of self-worth and compliments which I had built up from being a “good academic” had any credence in the so-called real world. It was hard to get out of pajamas on some days, because if I got into jeans, then I could walk outside, and then I would be tempted to spend money on coffee. Coffee from a barista was a luxury. Any time not spent sending the over 105 resumes, which I crafted in that timeline, was a waste. My boyfriend (now husband – yay) was sad. I was completely forlorn and a bit aimless. My only focus and goal was job hunting, googling positions, and since that was not delivering, I felt like I was failing 100%. Unemployment depression is very real. The remain fierce, I convinced myself to create this-here blog. I would post EVERY day during my job hunt to convince myself of my employable qualities. It was nice to be reminded that I had creative ideas to offer the world, even if I was not getting paid for them! 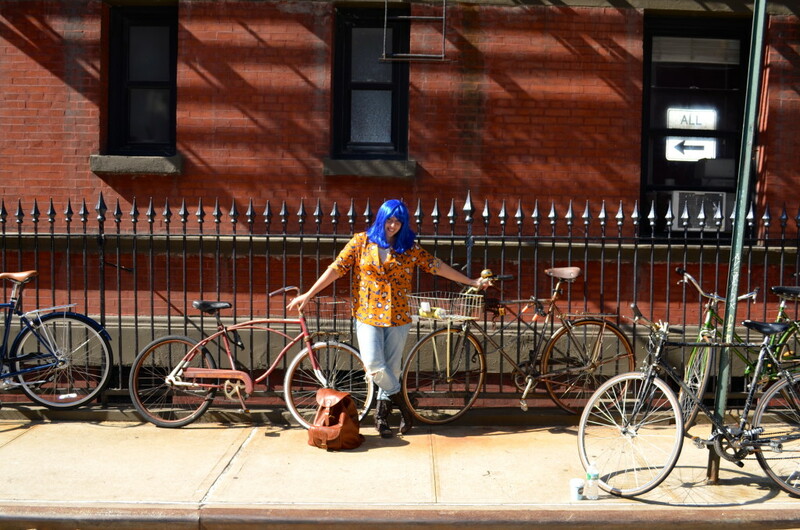 Now, almost 200 posts and two-years later, the blog still inspires me!